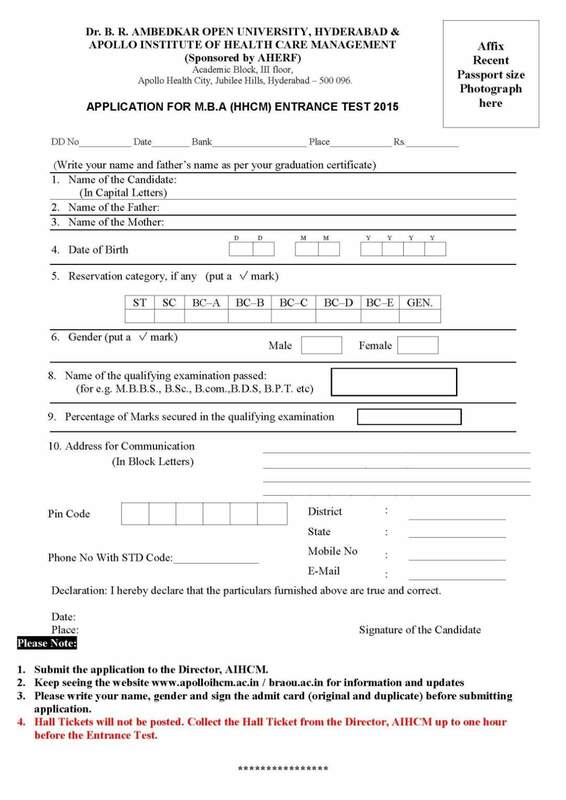 To admission in Master's Degree in Hospital and Health Care Management applicant should possess a Bachelor's Degree (in 10+2+3 form) in any discipline (Except Fine Arts and Oriental Languages) from a recognized university with a minimum of 50% marks, relaxable by 5% in case of SC/ST candidates. 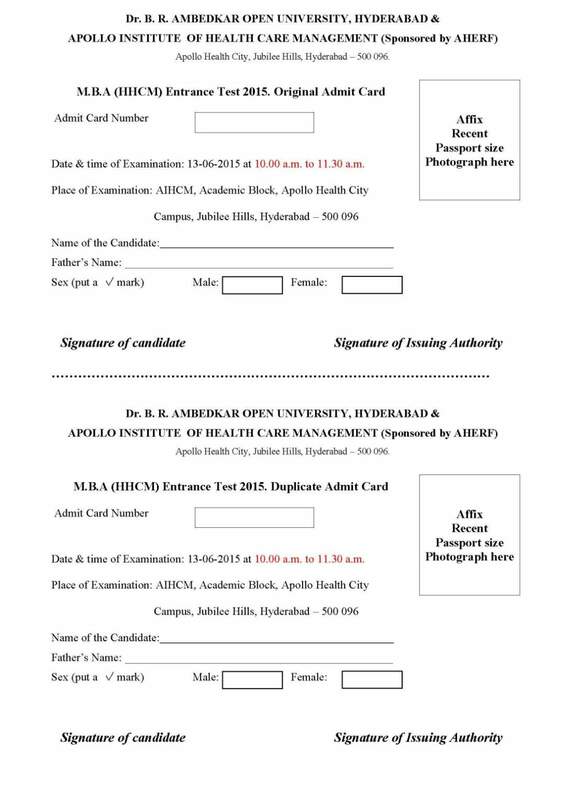 Candidates have to appear for an entrance test, followed by Group Discussion and Personal Interview conducted by the University. The Rules of reservation are applicable as per the University Rules. The candidates from other states also are eligible to apply. 20% of the seats are reserved for Management Quota. Hello Buddy ,I want to Do MBA in Hospital & Health Care Management programme at Dr BR Ambedkar Open University , Will you please give me information about Admission in this Course ? Relax able by 5% in case of SC/ST Candidates . The selection is based on the marks secured in entrance test, GD & PI .